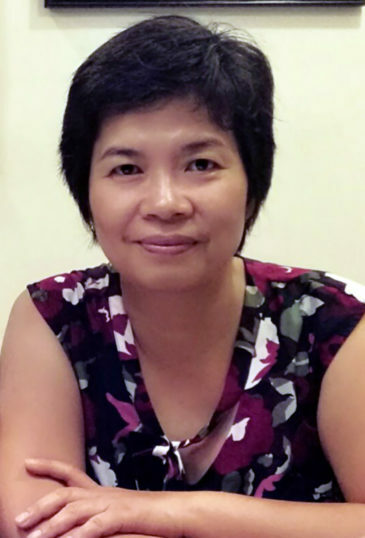 Dr Linqing Wen is one of Australia’s top astrophysicists. With the help of Pawsey Supercomputing Centre, she builds and tests software to detect the tiny cosmic ripples generated by gravitational waves. In his magnum opus, Cosmos, Carl Sagan wrote, “The familiar constellations must have been reassuring in the midst of an unexplored ocean. Stars are the friends of explorers…” He was writing of those Egyptian seafarers who went out on shallow boats to conquer the Atlantic Ocean. They sailed to prove the calculations of Eratosthenes – the first person to calculate the curvature and circumference of the Earth. We are in a similar age of exploration now – probing the infinity of space to measure natural phenomena we have only just begun to understand. But while the Ancient Egyptians fought against the ocean waves with shallow galleys and limited provisions, modern stargazers are using supercomputers and advanced laser technology to map the hidden waves of gravity. Like those ancient explorers, Professor Wen can tell a similar tale of companionship with the stars while travelling the world throughout her career. “I guess part of the reason I’m an astrophysicist is because where I grew up, we had a dark sky and I happened to be living on the top floor with a nice big balcony. I’d often spend nights watching the stars,” Professor Wen said. Professor Wen grew up in Fujian province, in the deep south of China. It was one of the many stops Marco Polo visited in his time. Nestled between the mountains and coast, the geography has given Fujian both a unique culture and tempestuous weather. Typhoon season was a regular part of her young life. Her father was a maths teacher and later an engineer, while her mother worked in a motor factory. They offered to support her on whatever she could achieve in her life. It was a high school math teacher, by the name of Xun Li, who first seriously inspired Professor Wen’s interest in science. After graduation, she studied condensed matter physics at one of China’s most prestigious universities – the University of Science and Technology of China. She completed her bachelor’s before making her first big independent move. She travelled to the United States and enrolled at Pennsylvania State University. At first, she was still studying condensed matter physics but wondered at her life’s direction. So she turned her gaze back to the stars. She moved to study astronomy for her doctorate at Massachusetts Institute of Technology (MIT). Here, there was a foundational figure. Rainer Weiss was a member of the astrophysics division. He, along with two of his MIT colleagues, would later go on to win the Nobel prize with his colleagues for recording the first gravitational wave. A moment as important as Eratosthenes’ curvature or Marco Polo’s travels. It was this influence that led her to begin her research career in gravitational waves at California Institute of Technology. “We had a lot of exposure to gravitational waves, even before I began working on it. At graduation, I was deciding between a couple of things, but gravitational waves sounded more attractive – not to mention California sounded more attractive than the East Coast. And they were hiring, so that was important.” she laughed. The beginning of her career ran parallel to the construction and opening of the Laser Interferometer Gravitational-Wave Observatory (LIGO), which would come to be the most important tool for the modern renaissance of gravitational physics. Two LIGO detectors would go on to detect the first gravitational wave – caused by the merger of two black holes, each roughly 30 times the mass of our sun. It would be Professor Wen’s future to help develop detection methods that would improve the capacity of LIGO’s detectors in fast detection and early warnings of gravitational waves. At its most sensitive state, the LIGO detectors are accurate enough to detect a change in space 10,000 times smaller than a proton, across the four-kilometre observatory. Before this, however, she moved to Germany to continue her career at the Max Planck Institute for Gravitational Physics. Once again in a new country, she would be conducting research at the largest hub for gravitational research in the world. Eventually, she was invited to a workshop at a remote Australian city she had never heard of – Perth. “That workshop was when I realised this was a place I could stay. A place I could live. There was a tour of the night sky. That was fantastic. We were looking at Magellanic Clouds that you can only see in the southern hemisphere,” she said. Taking a tour to Gingin, the sky was clear and free of light pollution, just like her childhood home. It was here that Professor Wen’s work would ultimately find a home. Now she develops search pipeline for the gravitational observatories – LIGO in the US and Virgo in Italy. Her team is designing and testing automation software to make it easier to detect gravitational waves with the help of Pawsey Supercomputing Centre. Today, the stars remain her companions. You can read more about Prof Wen’s project in the case study about gravitational waves.